“We are from Allah and to Allah we shall return. I am informing all brave Muslims of the world that the author of The Satanic Verses, a text written, edited, and published against Islam, the Prophet of Islam, and the Qur'an, along with all the editors and publishers aware of its contents, are condemned to death. This was a watershed moment for Britain in in terms of the influence of Islam in the UK and the challenges that posed. The repercussions are still being felt. In this article I will explore what happened 30 years ago, discuss the implications, the real Satanic verses, and the lasting repercussions on our culture today. The first most British people ever heard of a fatwa was when this fatwa hit the headlines. 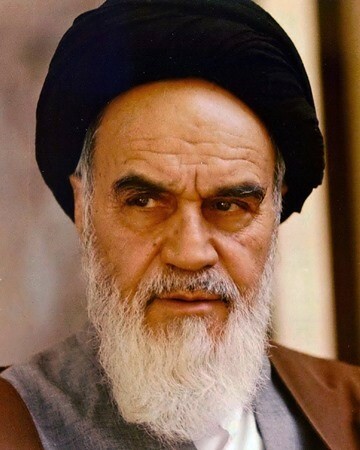 A fatwa is an authoritative legal ruling issued by an appropriate Islamic authority – in this case Ayatollah Khomeini. Khomeini was the leader of the 1979 Iranian revolution which overthrew the last Shah of Iran and set up the Islamic Republic of Iran. He became the Supreme Leader of the Islamic Republic as well as the primary spiritual leader for some 50 million Shia Muslims. Although this communique stopped short of expressly calling for Rushdie to be killed, in declaring the publication blasphemous and the author apostate, this was seen as supporting the verdict of Khomeini’s fatwa which pronounces Rushdie guilty of crimes deserving of the death penalty. On 26th September 1988, The Satanic Verses by Salman Rushdie was published in the UK by Viking Penguin. Rushdie had won the prestigious Booker Prize for a previous novel and had earned a reputation as a highly regarded contemporary novelist who was unafraid to tackle controversial subjects. The Satanic Verses is a novel, using magical realism and dream visions to tell a lengthy imaginative story. Some parts of the book are clearly based on aspects of the life of Muhammad. Muhammad is not mentioned by name, however, nor is Mecca or sharia law. Instead there is a character called ‘Mahound’ who founds a religion of ‘Submission’ in a fantastical polytheistic city of ‘Jahilia’. It is, nevertheless, as Kenen Malik explains, “a fictionalised, satirical account of the origins of Islam.” ‘Mahound’ is an ancient derogatory name for ‘Muhammad’. ‘Submission’ is the literal meaning of ‘Islam’. ‘Jahiliyya’ is an Arabic word for ‘ignorance’, used by Muslims to describe the Arabic world prior to the revelation of the Qur’an to Muhammad. The angel Gabriel then corrected Muhammad, and these later verses were removed from the Qur’an and became known as the Satanic verses. The point here is that Salman Rushdie did not invent the concept of ‘Satanic verses’, or of some verses which Muhammad recited, having been inspired by Satan. This is part of standard Islamic tradition, as is the idea that Allah has abrogated some of his own inspired verses. Rushdie used this idea to inform the provocative title of his book. Of course, this incident raises serious questions about the source Muhammad’s revelations and the trustworthiness of Allah. The book was published on 26th September 1988. 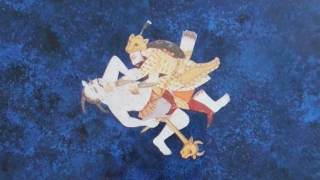 On 5th October, the Indian government announced that the book would be banned in India. This was quickly followed by Pakistan, Saudi Arabia, Egypt, Somalia, Bangladesh, Sudan, Malaysia, Indonesia, Qatar, and South Africa. Meanwhile, back in England the book won the Whitbread “best novel” award in November and was shortlisted for the Booker Prize. Back in England, Muslim outrage mounted, culminating in a demonstration in Bradford on January 14th where copies of the book were ceremoniously burned, followed by 8,000 Muslims demonstrating at Hyde Park on 27th January. Amongst the placards were some reading: “Islam – Our Religion Today, Your Religion Tomorrow.” Many others simply called for Rushdie to be killed. A petition was submitted to Penguin Books asking for the book to be withdrawn and pulped, and for Penguin to apologise for publishing it. Penguin also received threats and hate mail. Penguin stood firm, though WH Smith withdrew the book from its stores. The first deaths followed shortly afterwards with five killed in rioting in Islamabad, Pakistan, and then another killed and 100 injured in Kashmir on 13th February 1989. Media in Tehran claimed that the book was published at the request of the British Intelligence services as part of a deliberate attempt to confront Islam. A reward of £1,500,000 was offered to kill Rushdie. Sacranie went on to become the first secretary general of the Muslim Council of Britain, and Sir Iqbal in 2005. West Yorkshire Police later confirmed that they would not be bringing charges of incitement to murder against Muslim leaders in Bradford. The CPS cited insufficient evidence and questions around whether such a prosecution would be in the public interest. In October 1989, Kalim Siddiqui, founder of the Muslim Institute, addressed an audience in Manchester Town Hall with TV cameras present. He told the audience that the fatwa was just and that Rushdie should be killed. He asked the audience how many supported the death sentence for Rushdie. The majority raised their hands. He then asked how many would be willing to carry it out. Almost all of them kept their hands up. This electrifying scene was captured on camera and played on the evening news. Nevertheless, Siddiqui was not prosecuted for incitement to murder. In the context of demands for the blasphemy law to be extended to include Islamic blasphemy, this astonishing and appalling statement lent support to criminalising criticism of Muhammad. A Vatican official also condemned Salman Rushdie for blaspheming. The Chief Rabbi, however, whilst stating that he thought the book should not have been published, made clear that he did not support any extension to the blasphemy laws. Foreign Secretary, Sir Geoffrey Howe, was taken by surprise by the strength of opinion from EC foreign ministers who were keen to do more than merely issue a statement as he had done. The twelve countries of the EC recalled their ambassadors and suspended all high-level visits between their countries and Iran. In France, publication of The Satanic Verses was suspended for security reasons. In Canada, imports of the book were stopped pending a review of the book for possible hate propaganda. In the US several prominent bookstore chains, including Barnes & Noble, and independent bookstores pulled the book from their shelves. Thousands of literary writers signed a statement expressing solidarity with Rushdie. One anonymous person from Karachi wrote to say that Rushdie speaks for him and others like him who wish to recant from Islam but are unable to do so publicly in Islamic society on pain of death. Meanwhile the UK government seemed keener to express sympathy with the offence caused to Muslims than to stand up for freedom of expression. Sir Geoffrey Howe explained to a meeting in Birmingham that there was nothing he could do about the book under British law, instead he discussed the obligation of immigrants to integrate. He later criticised the book for being “extremely rude” about Britain. Margaret Thatcher joined him in criticising the novel for the offence caused. 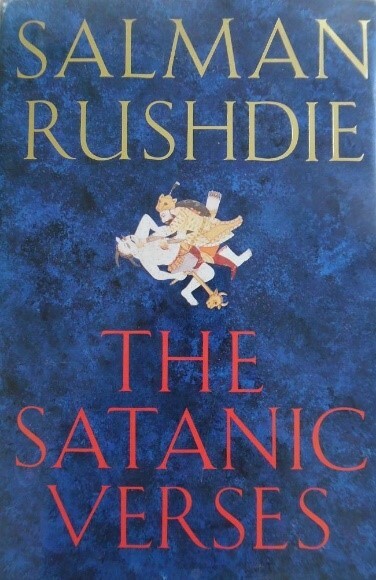 Labour party leader Niel Kinnock, by contrast, later revealed that he had met Rushdie in hiding and defended his right and that of his publishers to release a paperback edition. Roy Hattersley and a number of other senior Labour figures disagreed. Commentators opined that it was not really appropriate for the government to make pronouncements on the quality of a novel. An Imam in Brussels who had made a lenient statement about Rushdie was shot dead on 30th March 1989. On 9th April the ground floor of Collets Penguin bookshop in London was destroyed by a firebomb, and a Dillons store was also attacked. Between December and March 1989, Viking received 30,000 letters of protest and 16 bomb threats. Penguin CWO, Peter Mayer received death threats to himself and his family, and letters written in blood pushed under the door of his house. Salman Rushdie finally came out of hiding in 1998 after the Iranian government distanced itself from the Khomeini fatwa. The fatwa itself still stands though, and as recently as 2016 a bounty of $600,000 was offered by state-run Iranian media outlets for the death of Rushdie. Rushdie was knighted for his services to literature in 2007. Since 2000 he has lived in the United States. In 2012 Rushdie published Joseph Anton: A Memoir which is an account of his life under police protection when his pseudonym was Joseph Anton. 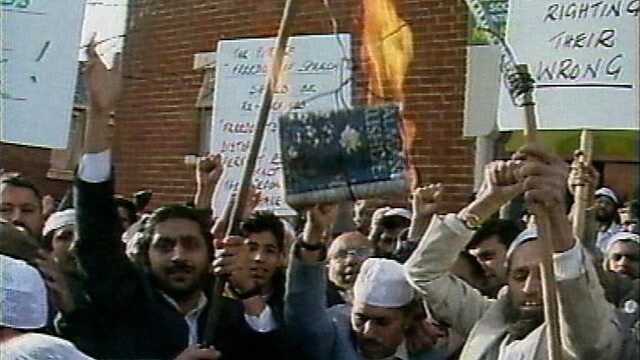 Twenty years to the day after the publication of The Satanic Verses, on 26th September 2008, the London offices of publishers Gibson Square were firebombed. 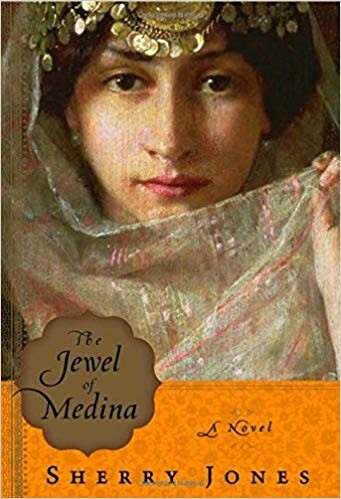 Gibson Square was planning to publish a novel The Jewel of Medina, about Muhammad’s youngest wife Aisha. Gibson Square then bought the rights and announced it would publish The Jewel of Medina in the UK. After the arson attack, publication was postponed in the UK. The book was published in the US, Germany, Denmark, Serbia, and Italy with no repercussions. It was later published in the UK by Gibson books in 2009. Kenan Malik appropriately comments that: “Rushdie’s critics lost the battle, but won the war.” They did not succeed in banning publication of The Satanic Verses, but they did succeed in establishing a principle in society that it is wrong to offend other religions and cultures. Even more significantly, they established a de-facto assassin’s veto, whereby the mere threat of violence means that something perceived as critical of Islam is self-censored. The fatwa has become internalised, and we now live in a culture of self-censorship by fear. The ICM survey in 2015 found that 78% of British Muslims believed that no publication should have the right to publish pictures of Muhammad. This rose to 87% when talking about the right to publish pictures making fun of Muhammad. Further, 18% sympathised with people who take part in violence against those who mock Muhammad. In 2017, two British newspapers published a correction notice: “We are happy to make clear that Islam as a religion does not support so-called ‘honour killings’.” No matter that many Muslims would disagree with this, and Ayatollah Khomeini and his supporters would certainly have disagreed. The death penalty for apostasy is a form of honour killing that is clearly part of Islamic teaching. This means that the press regulator is now watching out for statements that criticise Islam. This is a new form of censorship that would not have been imagined prior to the fatwa. Last year, Canadian journalist Lauren Southern was refused entry into the UK. She had committed no crime. She had previously distributed posters with slogans about Allah such as “Allah is Gay” or “LGBT for Islam UK”. This was a response to an article which questioned whether Jesus was gay. Clearly the border forces believe that someone who some may consider to have insulted Allah is a threat to society. Another person was refused entry into the UK because of his ‘anti-Islamisation beliefs’. We are now living in a culture that goes to quite some lengths to protect Islam from criticism, but not Christianity. 30 years after the fatwa, fear of criticising Islam is part of our culture. No-one wants to be labelled ‘Islamophobic’. But it is actually those who are silenced by fear who are really ‘Islamophobic’. We are all aware that some Muslims will turn to violence if they feel that Muhammad has been insulted, and that there are enough Muslims sympathising with this in the UK to create a culture of fear. Blasphemy laws have been abolished, but publishers and others are careful not to criticise Islam anyway. We have moved from fatwa to fear. It is time to say enough to Islamic intimidation, threats and censorship. This is no way to run a free society. The police and the government should robustly defend free speech in every area of society and clamp down on threats of violence of any form. Rather than saying that all religions should be respected, they should defend criticism of religions. Christians and others should be able to clearly expose the discriminatory nature of Islam and its links with terrorism and other activities without fear of prosecution or of violent threats. Sometimes the truth is offensive, but people have no right not to be offended. Journalists, politicians, and others should be entirely free to say that Muhammad was a false prophet who taught and practiced immoral things. We need to move from fear to faith and boldly proclaim that Jesus Christ is the way the truth and the life and that no-one comes to the Father except by Him. Having moved from fatwa, to fear, it is time to move from fear to faith and freedom.